The Official podcast of Vundablog.com. The Home of Whatever. 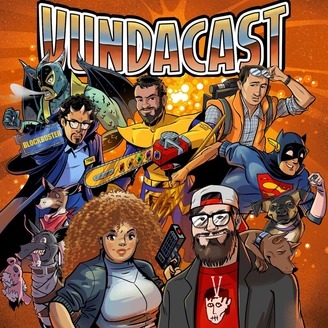 The Vundacast is a nerdy discussion extravaganza with multiple hosts and show brands. Stephen, Danielle (aka the Co-hortress/Chicken Nugget) , Mr. J (Host of DCFU), D-rock (Our Wrestling spirit guide), Blockbuster guy Frank (editor), and The Meza Bros Andres & Diego(Hosts of the podcast formerly known as A wHOLE lot of now known as Now This IS podcasting.) talk about every topic under the nerd sun. We do interviews and lots of speculation, review, and reaction to everything pop-cultural. 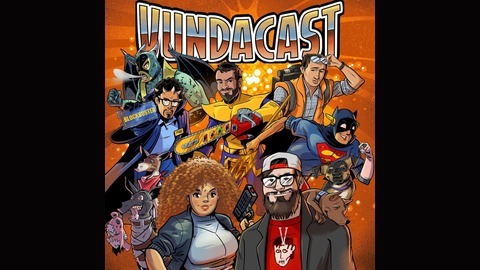 Every episode of the Vundacast is a chance to express what you love so tweet us @vundablog or @vundacast or shoot us an email vundacast@gmail.com or vundablog@gmail.com. Danielle and Stephen journey back to Camp Crystal Lake for the 1st time on the podcast. The two lay down a commentary track, till Jason impales their heart with a new ship Jason Voorhees and Tina Shepard(a psychokinetic teen aka the stand in for Carrie). We laugh and find some sweet JasonTina fan fiction at the end.